Bell Construction, LLC is a full service design and build company. We are your "one stop" for all your bath, kitchen, & outdoor designs. As a family owned Restoration Company, Bell Construction has helped homeowners and businesses overcome the devastations and setbacks inflicted by disasters. With over 25 years of combined experience in the construction industry, we will address and service all of your restoration needs, while providing an uncompromising commitment to customer satisfaction. The Bell Construction family is a group of individuals who are highly skilled in construction and emergency repairs. We’re committed to serving our customers by delivering the highest level of quality craftsmanship, materials and excellent customer service. As a full building contractor, Bell Construction continues to be your single source for all of your residential and commercial needs. We at Bell Construction will restore your home or business back to its original condition quickly efficiently and a job that’s done right. We’re trusted reliable and we are there for you!! Know the Company's Business History it is important to know the background of the company or individual you are choosing. Go to the internet, check Angie's List, or talk with someone who has dealt with them before. This will help ensure you are not choosing a "fly by night" company and will give you more comfort with your selection. Ask Who Will Be On Site You want to make sure you are aware of who is coming to your house and doing the work. it is good to know the workers on a first name basis and having the understanding of who will be there each day. Get Estimates in Writing It is a good idea to get ALL estimates in writing to avoid hidden charges. It is common that other expenses come up, but make sure that everything is explained to you and put on paper. Look for Coupons or Discounts Many contractors or service companies offer discounts or coupons through local papers, internet or coupon books. They may also have specials on social network websites. It is also common that if you are referred to by a friend, that your friend may receive a referral bonus for the recommendation. Make Sure Estimates are FREE when You Call Not all estimates are free so make sure when you call, the contractor will come out and give you a free estimate. If they do not offer a free estimate you can make the decision on whether or not you want them to come out. Analyze Each Cost by Asking for a Line by Line Charge By doing this, you know exactly what you are paying for. It will help avoid any surprise charges or fees that you are unsure of. If you feel something is not necessary, don't be afraid to question it and get an explanation to why you need it. 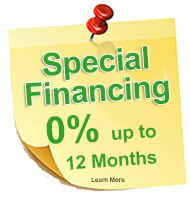 Inquire About Guarantees Check and see what will be guaranteed and what will not. if you do not feel comfortable with something not being guaranteed, you can either request that it be guaranteed or check with other contractors. Certain parts and materials may have guarantees but other may not work. Make Sure Contractors Get the Proper Permits There are permits needed for much of the work being done at your house. Make sure to confirm with your contractor that they have received the proper permits to do the work they are doing. Do Your Homework Once you have the description of the work that will be done, research what you have been told to make sure it is legitimate. Research online, through friends and other sources to ensure everything is correct. What Is the Bottom Line? When the estimate is complete, go over everything. Make sure everything you talked about is correct and do not be afraid to ask any kind of question. If you are unsure, it is better to ask so nothing suprises you in the end. This is also a good time to ask for any discounts on services or parts you feel may be a little to high. Bell Construction takes great pride is serving all our clients with honesty, integrity, openness and fairness. Please feel free to communicate with us until you are completely satisfied with your project from start to finish. BELLPRO... Specializes in Board-Ups, House Fires, Water Floods, Sewer Backup, Wind Damage, Hail Damage, and much more!